Diablo Canyon, California’s last working nuclear reactor, will close by 2025 -- and unlike the state’s other shuttered nuclear reactor, it’s not going to be replaced by any new fossil-fuel-fired power plants. On Tuesday, utility Pacific Gas & Electric announced a plan to replace Diablo Canyon’s 2.3 gigawatts of generation capacity, about 8.6 percent of the state’s electricity production, with a host of zero-carbon emissions resources over the next nine years. That will include lots of new solar and wind power, as well as other greenhouse-gas-free energy resources. 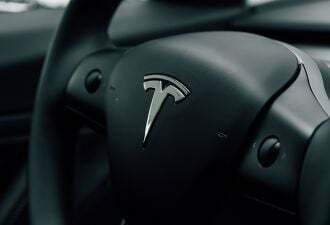 But it’s also going to take a lot more energy efficiency, as well as demand response, energy storage, and other reliable demand-side resources. It’s the first time a U.S. nuclear reactor closure has come with such guarantees, and it puts a significant amount of pressure on the utility and clean energy groups to come up with a mix of clean energy and reliable demand reduction to replace its carbon-free power. 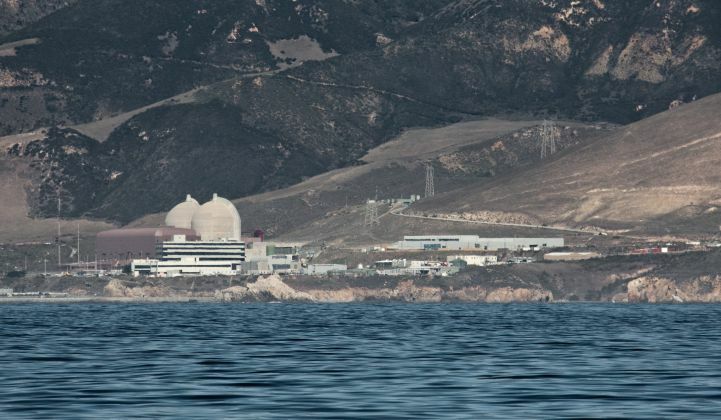 The deal is the result of a compromise between PG&E and parties that have long been calling for Diablo Canyon’s closure, including the Natural Resources Defense Council, Friends of the Earth and Environment California, due to its location at the confluence of several active faults. But it also included labor and pro-nuclear groups that sought to keep it open. Tuesday’s proposal (PDF) will now go to the California Public Utilities Commission for review and possible approval. While it’s not clear how that will turn out, it’s likely that the CPUC will welcome the plan’s broad goal of replacing carbon-free nuclear power with green alternatives, given how it handled the state’s last nuclear power plant closure. That was Southern California Edison’s San Onofre Nuclear Generation Station (SONGS), which was taken offline in 2012 and shuttered for good in 2013. 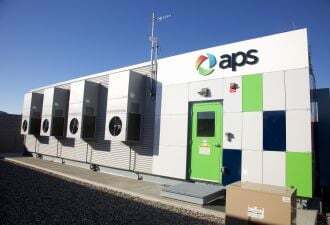 That led to another first in the state, as the CPUC ordered SCE and neighboring utility San Diego Gas & Electric to seek out a large portion of zero-emissions resources, including hundreds of megawatts of distributed energy, to fill the gap. At the same time, the CPUC let both utilities add hundreds more megawatts of natural-gas-fired power to replace SONGS, a move that angered environmental and green energy groups that had pushed for more zero-carbon alternatives. The decision was justified on the grounds that the unexpected closure left a hole that couldn't be reliably filled by all-green resources, at least quickly enough to ensure the reliability of the region’s grid by the end of the decade. With Diablo Canyon, PG&E has more time to put together a mix of clean resources to fill the gap. At the same time, the state has enacted new renewable portfolio standard, energy efficiency, demand response and energy storage goals since then, which will play a role in PG&E’s long-term replacement plan. Under Tuesday’s proposal, PG&E will set up three rounds of resource procurements. The first will seek up to 2,000 “gross gigawatt-hours” of energy-efficiency savings to be implemented from 2018 to 2024. The second authorizes PG&E to procure 2,000 gigawatt-hours of GHG-free energy resources through an all-source solicitation, meant for delivery between 2025 to 2030. The third will target energy delivery starting in 2031, under the state’s new renewable portfolio standard (RPS) that calls for California utilities to procure 50 percent of their energy from renewable resources by 2030 -- a goal that PG&E will raise to 55 percent for itself under its new proposal. Roughly speaking, 2,000 gigawatt-hours equates to about 225 megawatts of energy resource capacity, running throughout the year, although that’s subject to many variables like resource and fuel type, generation efficiency and intermittency of solar and wind power. PG&E is asking the CPUC for permission to recover the costs of resource integration through state grid operator CAISO’s Transmission Access Charge (TAC), or through a cost allocation mechanism like those set up for other unexpected utility investment needs, like SCE’s recent procurements to manage the closure of the Aliso Canyon natural-gas storage facility. At the same time, PG&E isn’t just trying to find gigawatt-hours of energy. It will also have to make up for the loss of a power plant that provides large amounts of stable “baseload” power, which could “impact the efficient and reliable balancing of load and resources in PG&E’s service territory,” Tuesday’s proposal notes. PG&E will be relying on its upcoming Integrated Resource Plan to clarify how it’s going to proceed on these fronts. It will also have to manage issues outside its direct control, such as “customers additions of distributed energy resources” like rooftop solar PV and behind-the-meter energy storage, and the growth of cities and counties that are creating community choice aggregation entities that pull retail customers away from the utility. If the CPUC rejects this proposal, PC&E may seek to relicense Diablo Canyon to keep it running past 2025. However, PG&E CEO Tony Earley has said that keeping the plant open isn’t likely to be the best economic choice for the utility and ratepayers, given that it will continue to operate fewer hours per year as more green energy comes onto the grid, displacing the need for its power. The Natural Resources Defense Council estimates that PG&E customers will save at least $1 billion from the implementation of the proposed plan, all without adding to the state’s greenhouse gas burden. “Energy efficiency and clean renewable energy from the wind and sun can replace aging nuclear plants -- and this proves it. The key is taking the time to plan,” NRDC President Rhea Suh said in a prepared statement. Greentech Media will be delving into the multiple challenges of integrating green energy into reliable grid operations at our Grid Edge World Forum this week in San Jose, Calif., and PG&E's surprise announcement has already come up. In a Tuesday morning discussion, panelists discussed the proposal's impact on California's energy and carbon reduction goals, and later today we'll have more discussion of how distributed energy -- and the technology to integrate it into utility operations -- could help.